Lake Red is one of the saline lakes which were formed as a consequence of salt massif dissolution at the foot of the Gurghiu Mountains (Central Romania) at the end of the nineteenth century. The lake water had approximately 15 % w/v salt content. Phylogenetic diversity of prokaryotes inhabiting the water and sediment of the lake was studied using cultivation and cultivation-independent methods following a sampling in spring 2009. According to the results of 16S rRNA gene-based denaturing gradient gel electrophoresis (DGGE), the richness of Bacteria was higher than Archaea on the basis of the number and position of dominant bands in the gel. Sequences from DGGE bands were affiliated with Gammaproteobacteria (Halomonas and Alkalilimnicola) and Bacteroidetes (Psychroflexus) as well as Euryarchaeota. 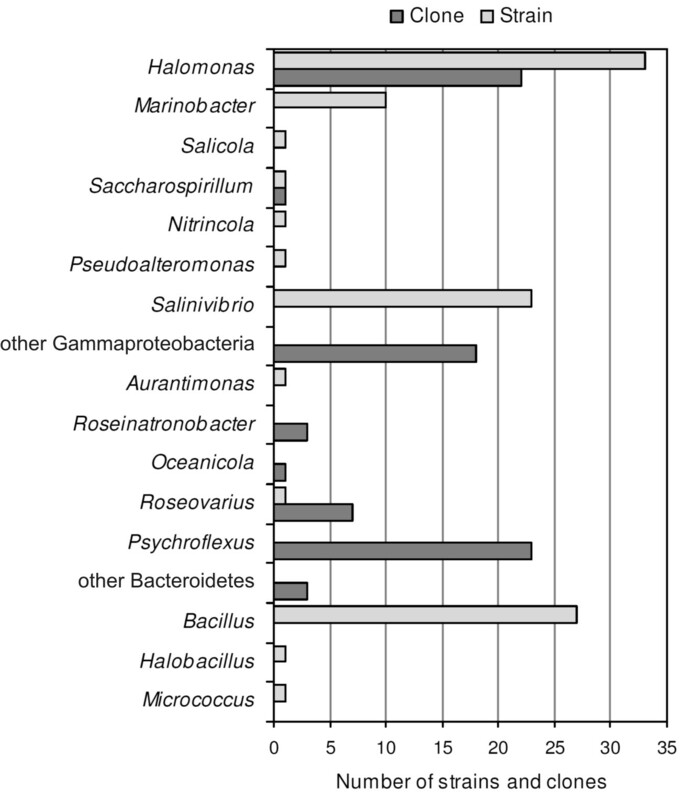 Cultivation from five different saline media resulted in 101 bacterial strains of which Gammaproteobacteria (Halomonas, Marinobacter and Salinivibrio) were the most abundant. Firmicutes (Bacillus) and Alphaproteobacteria (Aurantimonas and Roseovarius) were also identified among the isolated strains. The 16S rRNA genes from 82 bacterial and 95 archaeal clones were also phylogenetically analyzed. 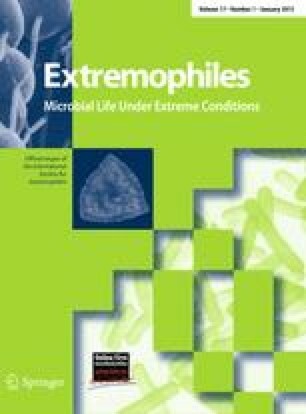 Bacterial clones were related to various genera of Gammaproteobacteria (Alkalilimnicola, Alkalispirillum, Arhodomonas, Halomonas, Saccharospirillum), Bacteroidetes (Gracilimonas, Psychroflexus) and Alphaproteobacteria (Oceanicola, Roseinatronobacter, Roseovarius). All of the archaeal clones sequenced corresponded to a homologous cluster affiliated with Halopelagius. The online version of this article (doi: 10.1007/s00792-012-0496-2) contains supplementary material, which is available to authorized users. The technical contribution of Gábor Cebe and Balázs Vajna is gratefully acknowledged.